Our daily lives are shaped by the routines through which we interact with the humans, things, spaces and concepts that surround us. “How something is done” becomes a habit and taken for granted. The course offered at the University of Art and Design Linz inspects these quotidian routines and investigates how everyday life is produced. 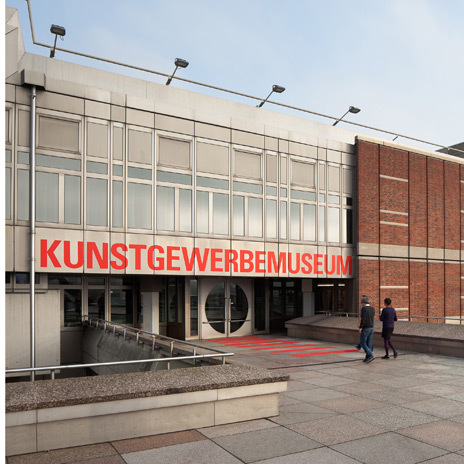 With this in mind course participants transform the Kunstgewerbemuseum as an experimental space full of “objects detached from everyday life” during a three-part workshop residency. Can You See Everyday Life? Can It be Exhibited? And Why Would You Want To? A long table passes through a set of showcases. It’s possible to sit at it, provided you first find a chair. The research topics of the space&designSTRATEGIES students from the University of Art and Design Linz are explored via the objects in the cases as well through videos and lifestyle magazines in a sitting area. The resonance to the performative lecture by Professor Ton Matton, who presented his book Zweifel (Jovis Verlag), is still evident. That event on 10 March 2019 saw course participants undertake initial construction of the exhibition for the three-part workshop residency at the Kunstgewerbemuseum (Museum of Decorative Arts) and invite guests to a discussion on the production of everyday life over tea and crêpes with plum jam. 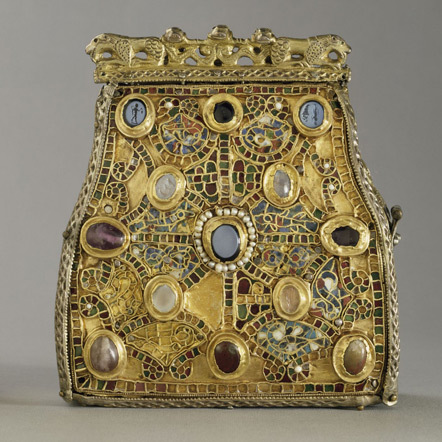 Which Objects Have Significance for Museums? Exhibiting craftsmanship with a local history, which is also representative of that which is considered prestigious, led the space&designSTRATEGISTs to ask: Which contemporary objects have significance for the life of a society? Which objects have significance for museums? And is this the same? Since industrialisation, discourse about the craftsmanship and aesthetics of exemplary objects has shifted its focus from exclusive, prestige objects made for a wealthy class to mass-produced “good design”. When viewing design exhibits, visitors are apt to nostalgically proclaim, “We have that at home, too”, followed by “So what’s it doing in a museum?” By placing everyday objects on a pedestal of exclusivity, those things are excised from daily life. If we assume that our surroundings and reality are shaped by the things around us and our interactions with them, as well as through them, then we have to grant these self-evident objects a society-shaping relevance. How should we regard routines and customs? How can we question and discuss them? What happens when they enter a museum? In cooperation with space&designSTRATEGIES (Kunstuniversität Linz). The exhibition is supported by the Kuratorium Preußischer Kulturbesitz.